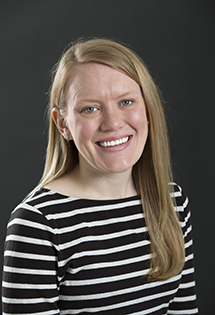 As an Academic Advisor in the Office of Student Services, Nicole (Nikki) Claas works with prospective and current students interested in pursuing a career as a classroom teacher. Specifically, Nikki works with students in the following programs: Early Childhood Education, Early Adolescence through Adolescence – English and Early Adolescence through Adolescence – Broad Field Social Studies. Nikki assists students towards reaching their academic and professional goals by reviewing their academic progress, identifying courses to take, explaining university policy and procedures and connecting them to campus resources. Nikki received her bachelor’s degree in Elementary Education and Communication Studies from Marquette University. She then went on to obtain a master’s degree in Counseling and Student Development from Kansas State University. Nikki has previous experience working in residence life, advising student organizations, and developing student leadership programs.